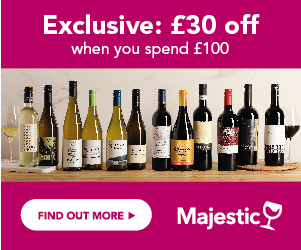 Find the best deals on Italian Wine. Compare prices and use our exclusive vouchers. Use various search filters to find your perfect range, merchant, region or producer. Look at reviews and Price History or sign up to Price Alerts - we will inform you when your favourite bottle goes on sale. There are more grape varieties in Italy than any other wine country in the world and that is maybe why Italy also has the reputation of being the world’s largest wine producer. When the Greeks invaded Italy over 2,000 years ago, they were so impressed with the abundance of vines and wine making they named it ‘Oenotria – The Land of Wine’! Add that to a ‘treasure trove’ of cuisine styles, then you have a wine and food lover’s paradise. From the greatest and most powerful reds of Barolo to the light and sparkling whites of Prosecco, Italy has it all! Veneto and the north-east brings us Prosecco and is also the spiritual home of Pinot Grigio. The medium bodied, fresh cherry red Valpolicela and the lighter Bardolino comes from here as does the famous Italian white wine we all know, Soave. Also new wine styles made from Chardonnay, Riesling and Gewürztraminer are springing up in this region with some are quite delicious creations to choose from. Piedmont and the north-west bring us the big reds of Barolo and Barbaresco, big prices too, produced from the Nebbiolo grape. Also wines featuring this single grape variety name are worth looking out for! Tuscany and the Centre gives us probably the most famous Italian red wine of all – Chianti, made from the Sangiovese grape. Some other red wines are being produced now from Cabernet Sauvignon and Merlot and the most popular whites from this region are made from the Vernaccia grape, [the wines are known by this name] and also Frascati and Orvieto, made from the grape varieties of Malvasia and Trebbiano. These are being handsomely supported by ‘new wines’ made from Sauvignon Blanc and Chardonnay. Some Chardonnay wines are carrying the ‘Super Tuscan’ prices too! The south and Islands are probably experiencing a more recent ‘revolution of quality’ than other regions and with less emphasis on the introduction of the ‘new grape varieties’. The provinces of Campania, Basilicata, Puglia and Calabria are still strong on indigenous grape varieties, with a little Chardonnay and Sauvignon Blanc appearing here and there. However on the Island of Sicily where this is also the case, you may find some interesting wines made from the Syrah grape also known as Shiraz, here it seems to have found a very comfortable home. Also we must not forget to mention the other important wine style that Sicily is famous for – Marsala. This fortified wine is produced near the capital of Palermo.